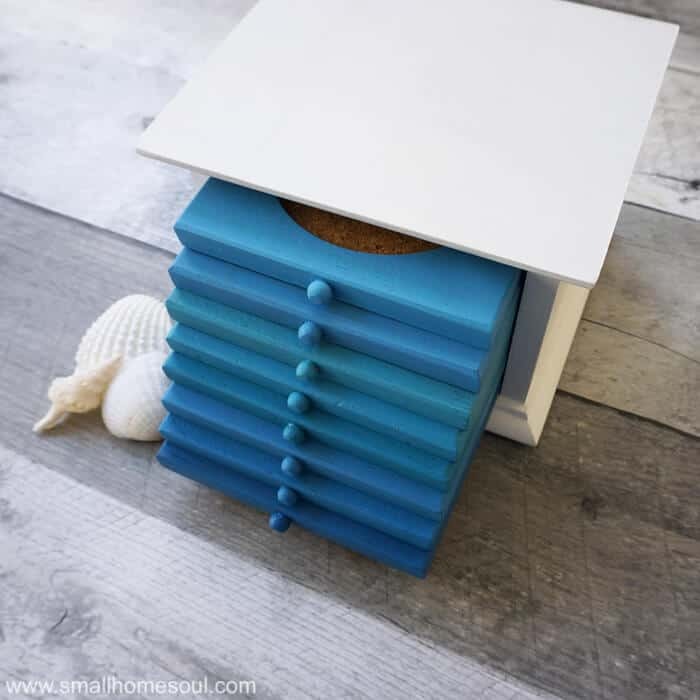 What better way to enjoy Summer than with a fun coastal DIY project? 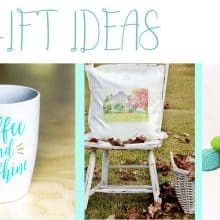 Today we’re teaming up with some friends to show you 13 fabulous Summer Coastal DIY Projects from candle holders to entire room remodels! 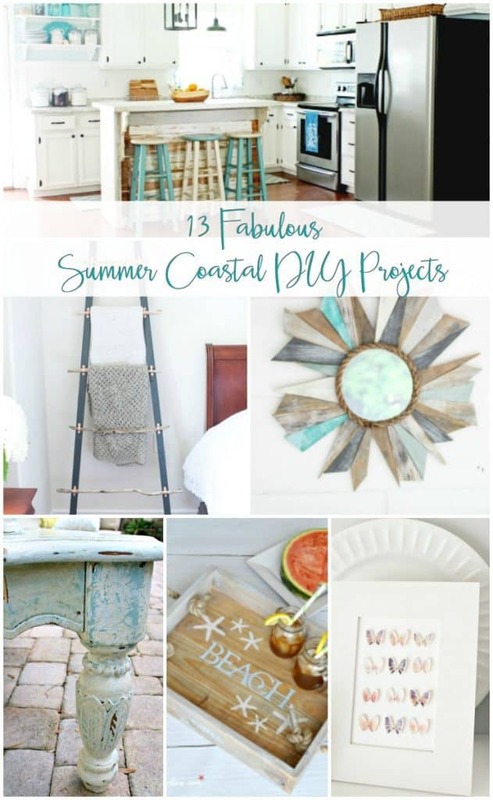 A huge thanks to Wendi at H20Bungalow for organizing this fun round up of coastal DIY projects! 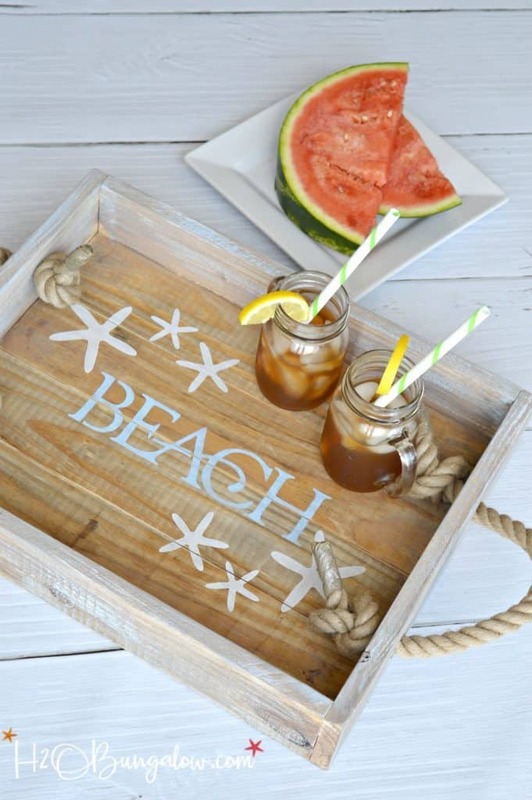 Speaking of Wendi, let’s start with her cute beachy tray! I love the rope handles on this one! 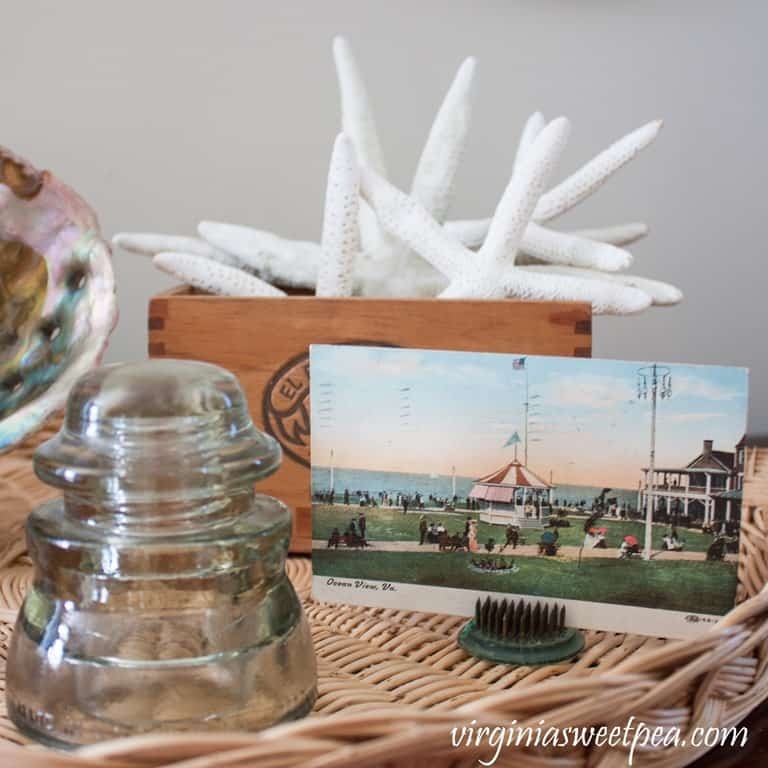 Reminisce about Summers gone by with vintage beach decor like this great old postcard. 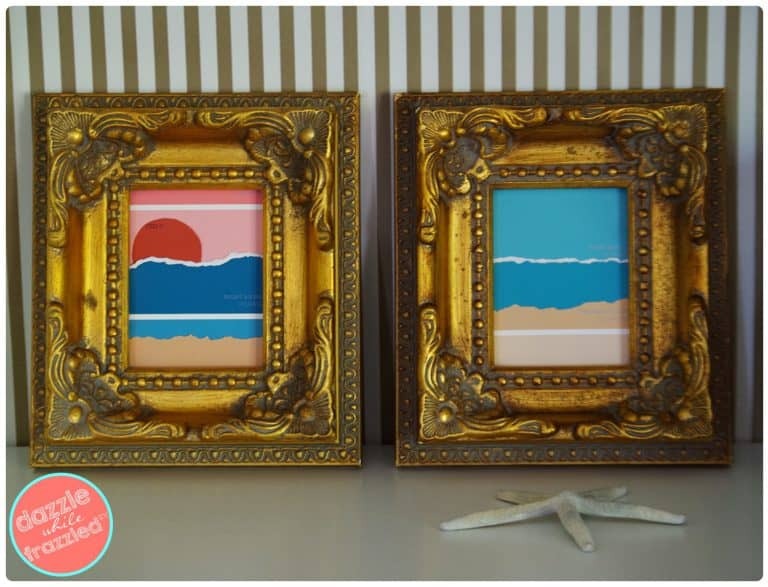 Create beach art with paint chips and add them to pretty frames. The color possibilities are endless! 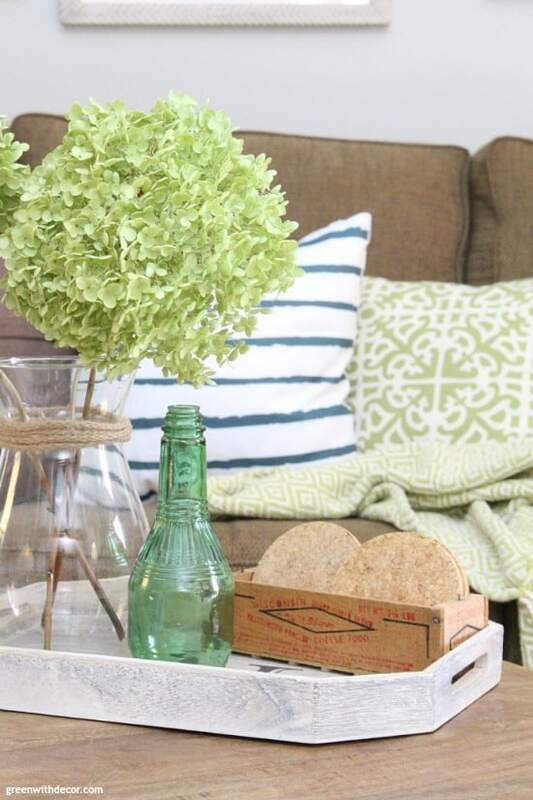 Dress up an outdated coaster set with beachy colored paints. 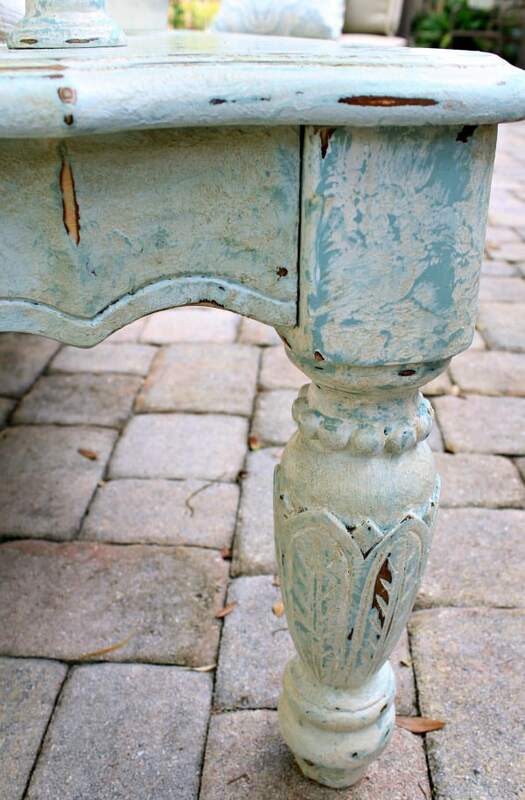 I have been wanting to try Saltwash for a while now, Check out Debra’s pretty coastal table! 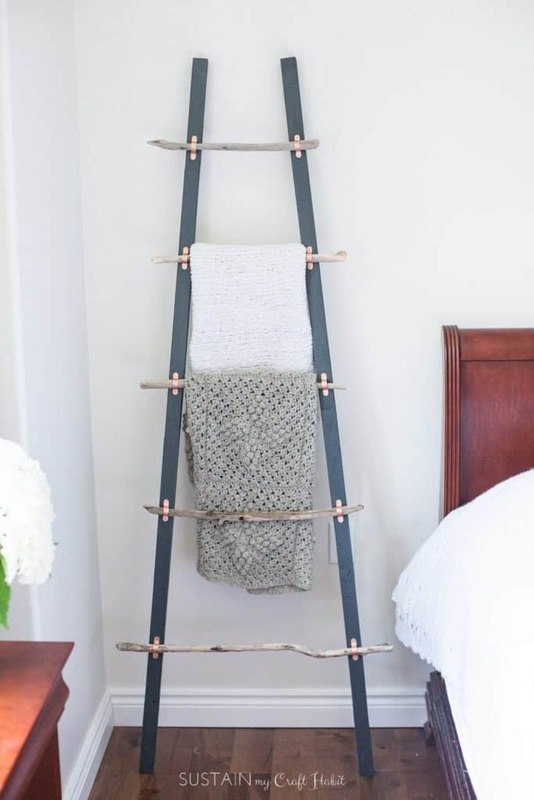 I love a blanket ladder but this one made with driftwood is just perfect! 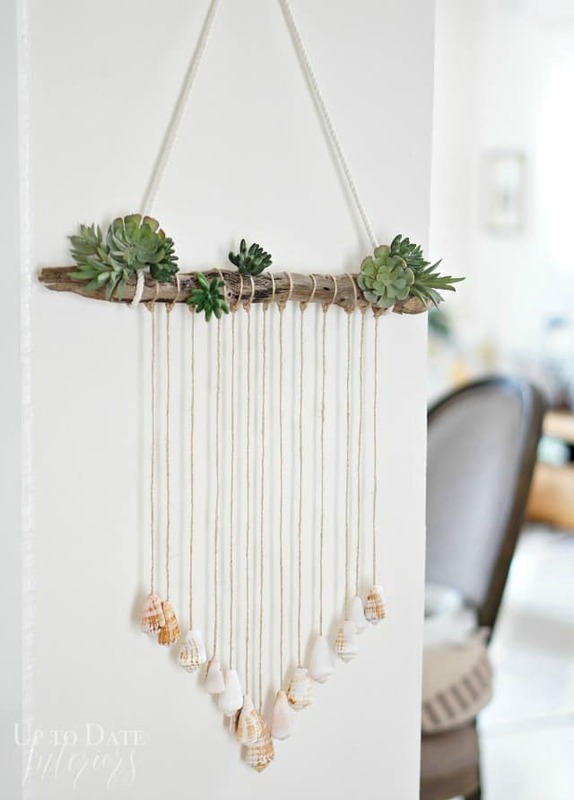 Kathy’s cute wall hanger has sea shells and succulents; two of my favorite things! These oyster shell candle holders would be fun to make with kids. 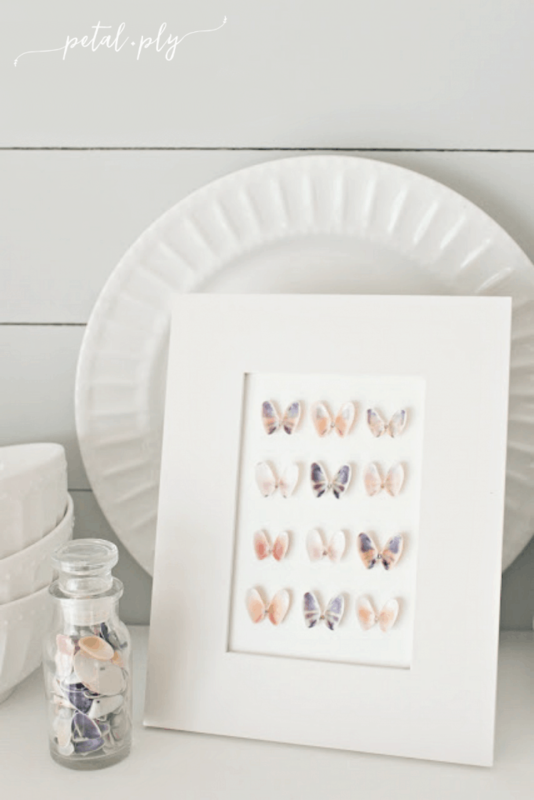 Here’s another one good for making with kids, create art with coquina shells put together to make butterflies. Meg added a fresh coat of paint and some coastal accessories to her living room for a coastal rustic look. Love love love those hydrangeas! Nancy’s laundry room had a major overhaul. Now it’s perfectly coastal! Two Summers ago we remodeled our kitchen. It took us about a month but it was so worth it, we are still loving it! I love Carrie’s sunburst mirror! 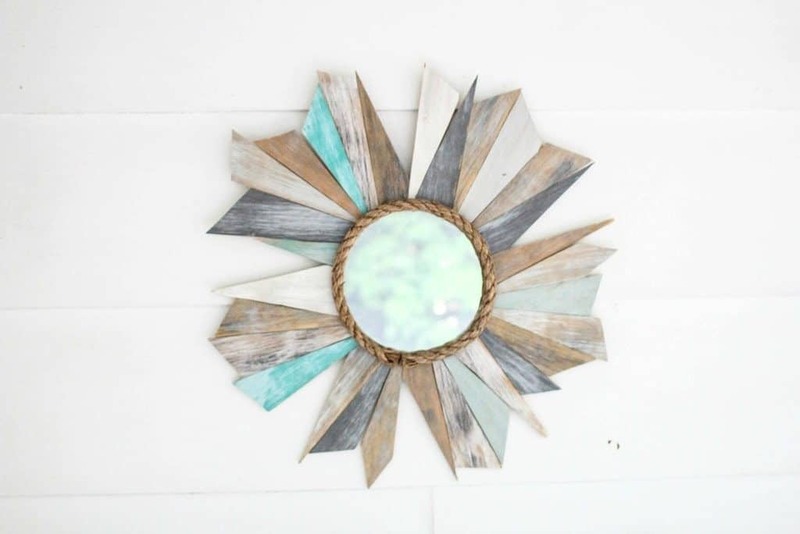 It’s so beachy and she made it with scrap wood! 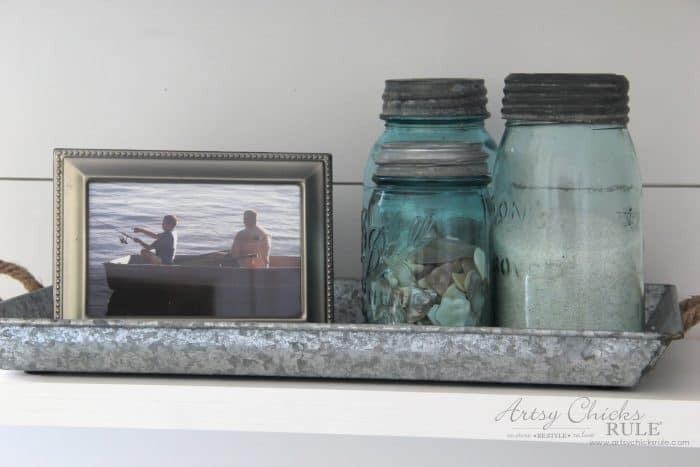 I hope we brought you some inspiration for your next coastal DIY project! 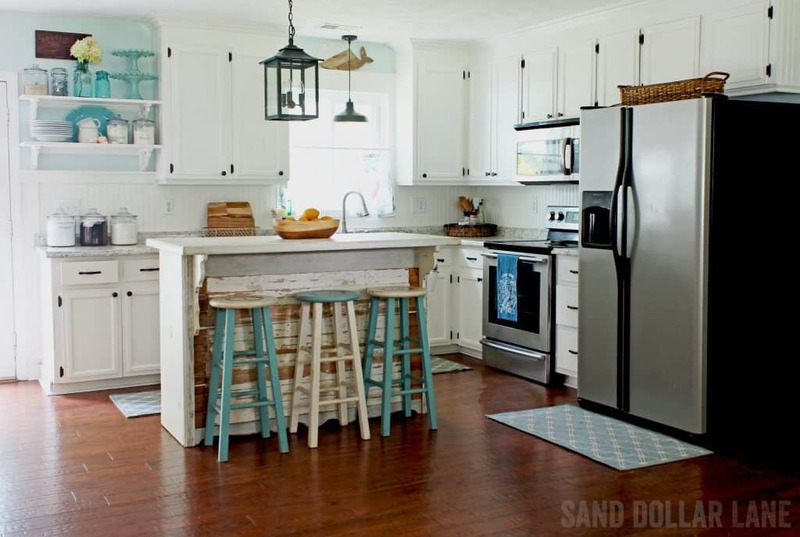 I love all of the coastal touches you added to the kitchen. You both did a fabulous job making it your own. 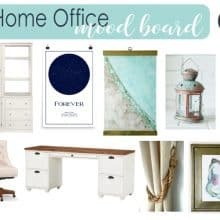 It is a great blog hop. Thanks Debra! 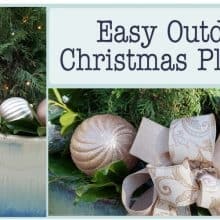 Enjoyed being part of this blog hop with you! Wow! What an amazing transformation! I am in love with the new look of your kitchen! 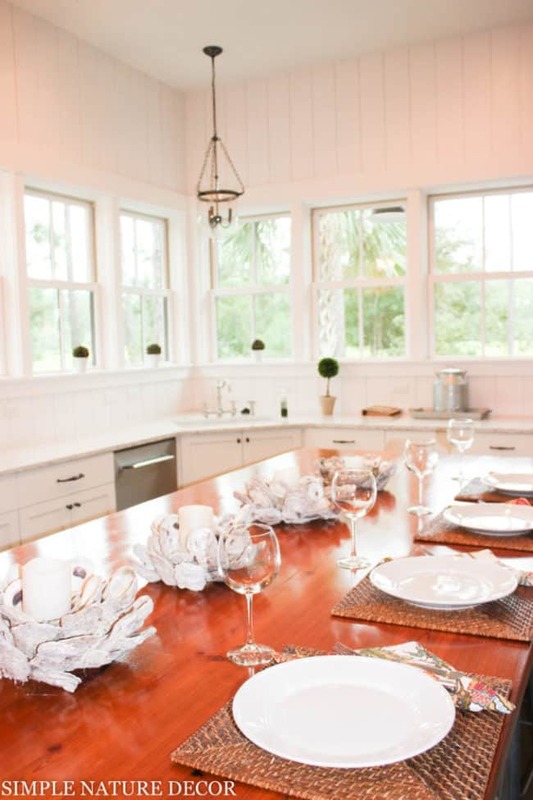 The whites, and coastal colors are just perfect! Congrats on a job so well done! 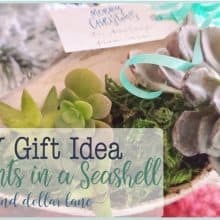 Thanks for sharing it in our coastal DIY project blog hop! Thanks Wendi! And thanks for all your work putting the hop together! Thanks Nancy! I though all the projects were great too!